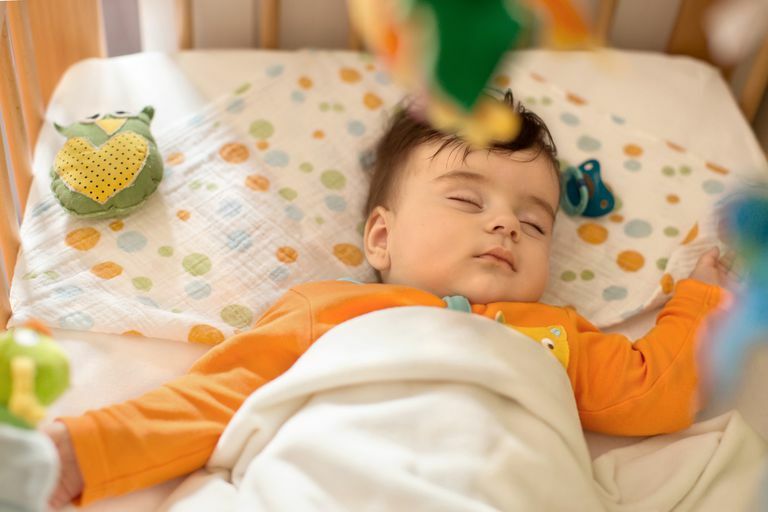 Although the rate of SIDS has fallen greatly since the introduction of the back-to-sleep campaign, an updated policy statement from the American Academy of Pediatrics, although a little controversial, will hopefully help to reduce the rate of SIDS even more. There has also been an update to the original Back to Sleep message, which changed to Safe to Sleep in 2012. The idea is now to focus on both "safe sleep environments and back sleeping as ways to reduce the risk of SIDS and other sleep-related causes of infant death." The biggest gains in reducing the rates of SIDS has come from reducing known risk factors, especially with the recommendations that all babies be put to sleep on their back—the Back-to-Sleep campaign that began in 1994. Since then, the rate of SIDS has decreased by just over 50 percent but remains at a steady rate of about 0.57 deaths per 1,000 live births. Part of the reason that SIDS is still a problem is that experts just don't know all of the things that put a baby at risk, but there are also other things that parents could do to avoid risk factors that they don't always do. For example, about 10 to 20 percent of parents still put their babies to sleep on their stomach, and some child care centers aren't aware of the importance of back sleeping. SIDS, also known as "cot death" or "crib death," is usually defined as the sudden and unexplained death, even after a careful and complete investigation, of an infant under 1 year of age. babies who sleep on a soft surface, including using a pillow, soft mattress, soft bedding, etc. Another fact about SIDS, which is often not very well known, is that all commercial devices marketed to reduce the risk of SIDS, such as wedges, sleep positioners, special mattresses, and special sleep surfaces, have never been approved by the FDA to prevent SIDS. Although many of the recommendations to reduce the risk of SIDS have been well known for some time, it is interesting to take a look at how the advice from the AAP has changed over the years. While the original Back to Sleep SIDS' policy statements emphasized that you shouldn't put your baby to sleep on his stomach, it really didn't discourage side sleeping. That first report from the AAP Task Force on Infant Position and SIDS came out in 1992 and was simply named "Positioning and SIDS." It stated that 'the Academy recommends that healthy infants, when being put down for sleep, be positioned on their side or back.' To be sure, that report, with the accompanying Back-to-Sleep campaign, had a great effect on reducing the rates of SIDS. The next report on SIDS came out in 2000 and it noted a big decrease in the rate of SIDS, over 40 percent, because of the previous guidelines. However, because "SIDS remains the highest cause of infant death beyond the neonatal period," it made recommendations about other risk factors, including soft sleep surfaces and loose bedding, overheating, and maternal smoking. The 2000 SIDS report also stated that back sleeping was preferred over side sleeping and that bedsharing or cosleeping may be hazardous. The 2005 SIDS report from the AAP, "The Changing Concept of Sudden Infant Death Syndrome: Diagnostic Coding Shifts, Controversies Regarding the Sleeping Environment, and New Variables to Consider in Reducing Risk," ended the side vs. back issue. The new recommendation became that infants should be put to sleep wholly on their back. Other new recommendations included the idea that pacifiers might reduce the risk of SIDS and the concept of the 'separate but proximate sleeping environment,' in which babies should sleep in the same room as their mother, but in a crib, bassinet, or cradle, instead of sharing mom's bed. What's changed in the latest, 2011 SIDS report from the AAP? These recommendations aren't new, though. Advice to continue them consistently until infants are 12 months old is new, though. Also new in this report is a formal recommendation for breastfeeding. The protective role of breastfeeding has been mentioned since the original 1992 SIDS report, but this is the first SIDS policy statement to state that 'breastfeeding is recommended' because of the reduced risk of SIDS in mothers who breastfeed. A recommendation that infants be immunized and get regular well child care is also new, although previous reports have also talked about the lack of evidence to link vaccines and SIDS together. Hopefully, these new recommendations will help to get SIDS rates moving down again and also decrease rates of suffocation, asphyxia, and entrapment, which have actually been increasing. American Academy of Pediatrics Technical Report: SIDS and Other Sleep-Related Infant Deaths: Expansion of Recommendations for a Safe Infant Sleeping Environment. Pediatrics 2011; 128:5 e1341-e1367. American Academy of Pediatrics Policy Statement: SIDS and Other Sleep-Related Infant Deaths: Expansion of Recommendations for a Safe Infant Sleeping Environment. Pediatrics 2011; 128:5 1030-1039. How Safe Are Infant Sleep Positioners? Should You Skip the Crib Bumper Pad? What Is a Baby Box and Could It Help Your Baby?